My New Year's Resolution is to eat more simple carbohydrates and push the toddler agenda. 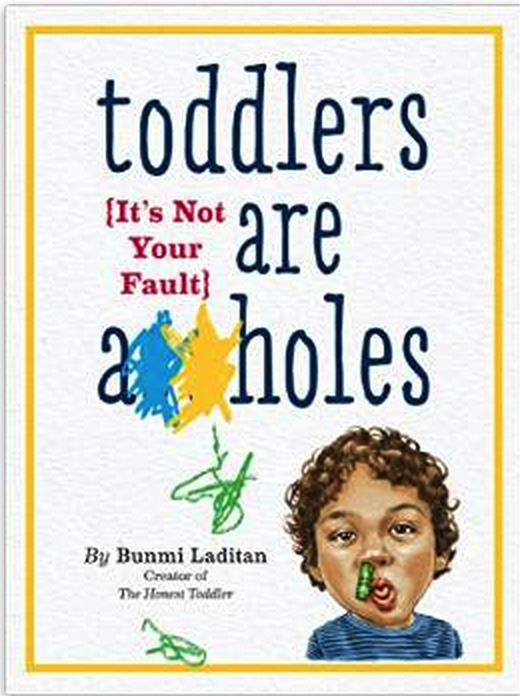 I am accomplishing the second goal by bringing back the Honest Toddler of the Day awards. Does someone young and special in your life deserve this award? To nominate them, just post their photo and some information about their commitment to the above principles on my Facebook wall. Yes, you get to write on a wall and nobody can say anything to you. If the individual you are nominating has personally hurt you or damaged your belongings, include this info as it gives them more points. If you don't have Facebook I'm not sure what to say to you right now. You can email me I guess but I'm going to make you work to find the address. It's in this website somewhere. 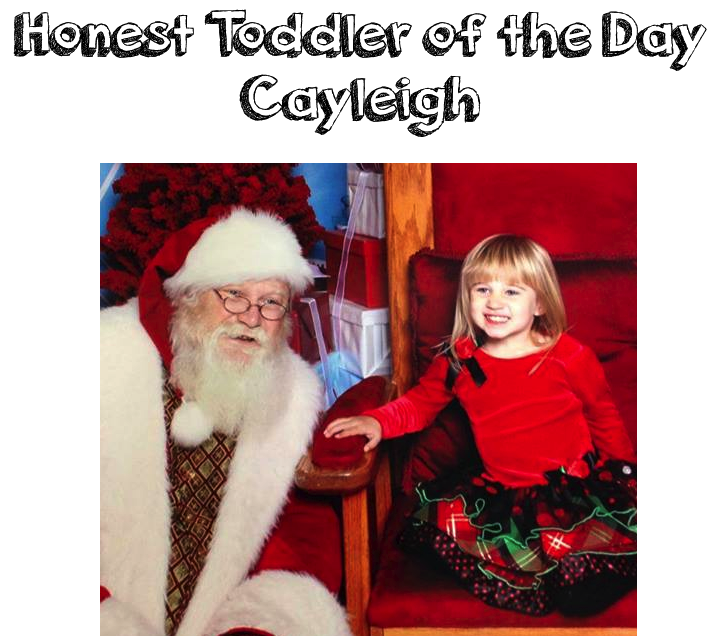 Today's Honest Toddler of the Day is Cayleigh. I see a child who has kicked Santa off of his own throne and has him kneeling by her side like some kind foot servant. Let that sink in. This child demoted Santa and her smile says, "Like I even care." She's happy. At a time when most children are saying anything to get in this man's good graces, Cayleigh decided that positive choices aren't really her thing and we love her for that. "I am a CRUSADER against infant sibling disease. Throwing all my veggies on the floor, painting the walls in waterproof mascara, acting a fool in public: yeah, I do those things, but that’s beginner level stuff. I once made a magnificent escape during church and made my mom chase me around the sanctuary until her heel broke, and then I fell on the ground and played dead in front of all the old ladies." "Oh, and did I mention I only sleep between the hours of 11 pm and 6 am? On New Years I made my mom cry because I wouldn’t even go to sleep AT midnight. No naps either. I mean, nobody’s perfect; once a month I accidentally fall asleep during the afternoon cartoon marathon Mom gives me so SHE can have a break, but I’m working on that. And there’s no way I’m potty training anytime soon." Cayleigh has won an unopened box of chocolate Dunkaroos from my house, a copy of The Honest Toddler: A Child's Guide to Parenting in paperback when it comes out April 22nd. *Facebook is not associated with this contest and has nothing to do with it. Facebook is not liable. If you lose don't be a baby or dumb infant.